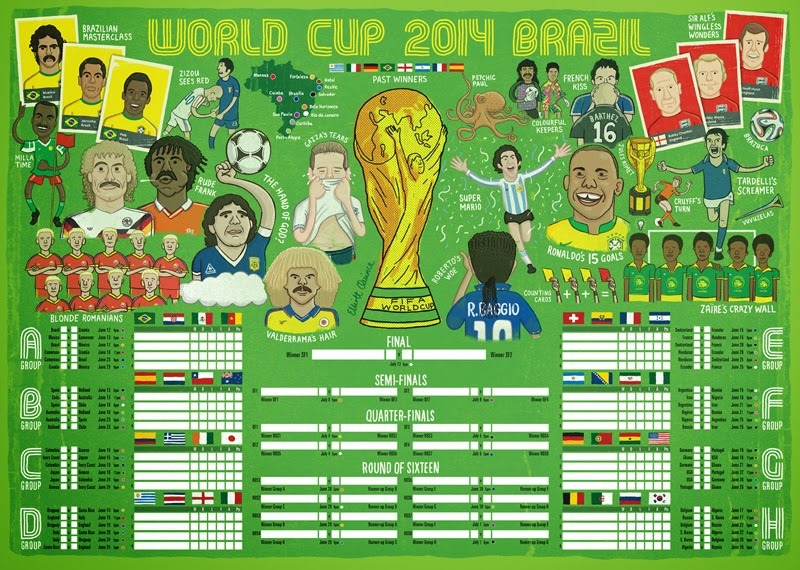 2014 World Cup wallchart featuring all of the fixtures from the football tournament in Brazil All profits from my World Cup wall chart are being donated to the Luton and Dunstable Hospital Neonatal and Intensive Care Unit. The wallcharts feature colourful characters and memorable footballing moments from past tournaments as well as the mandatory fixture lists and venues map. Find out more here.